*Two months ago, Paul Fenton was introduced as the Wild general manager, replacing nine-year GM Chuck Fletcher. The key word of the day was “tweak,” repeated by Fenton and Wild owner Craig Leipold to describe how they believed the Wild roster wasn’t in need of a major overhaul or reconstruction for the franchise to compete for a Stanley Cup. So far, though, Fenton may have looked. But he has not leaped. The Wild’s offseason transaction log shows zero trades. The outside free agent additions have been mostly depth guys, while the two most significant moves to-date are resigning Matt Dumba and — on Wednesday — forward Jason Zucker. “Right now, I’m very comfortable with the lineup we have,” Fenton said Wednesday. Meet the new Wild. Same as the old Wild. This probably shouldn’t be shocking given a few circumstances. 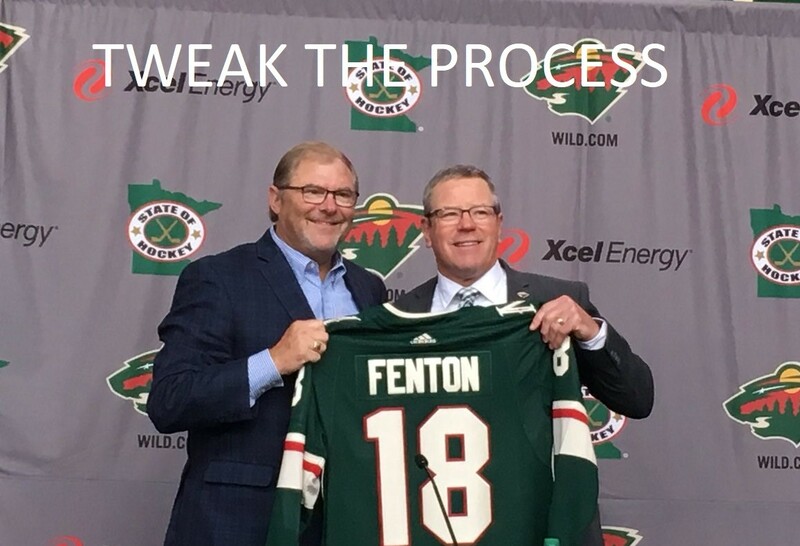 Given tight salary cap parameters and a seeming edict from Leipold not to go overboard with deals, Fenton can only do so much. He quite possibly has also found that the players the Wild might like to trade don’t have a ton of value, while Zucker and Dumba are young players the Wild is wise to keep long-term. There’s also this: Two months on the job is a short time to evaluate a roster. Fenton hasn’t even really seen his group interact on the ice up close, as he also noted Wednesday. Twins bosses Derek Falvey and Thad Levine had a quiet first offseason before taking a deeper plunge into free agency this year. Tom Thibodeau and Scott Layden with the Wolves made minor moves in Year 1 before overhauling the roster via the Jimmy Butler trade and several veteran free agent signings in Year 2. The difference for the Wild compared to those other teams is that a patient approach can only stretch so far, given that three of the seven players now under contract for $5 million or more per season are well on the wrong side of 30 years old (Zach Parise, Ryan Suter and Mikko Koivu). Trading for the sake of trading is seldom prudent, and keeping intact the core of a team that topped 100 points each of the last two seasons — playoff flameouts aside — is a defensible position. But two months in, Fenton to a degree has changed his tone. If you’re waiting for him to take more risks and think outside the box, it looks like you’re going to have to be patient. *There are a lot of perks to being Kirk Cousins, and one of them appears to be free Reuben sandwiches for life!